In Journey to Freedom--which traces eight generations of the Bunkley family, from Hertford County, North Carolina, through the Deep South and Texas, and to Southern, California--you'll see an African American family move through slavery, emancipation, poverty, and discrimination as they strive to triumph over the adversities of racist legal, social, and economic forces. 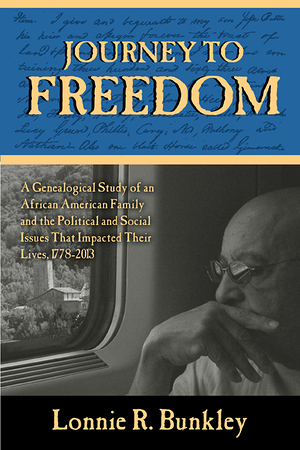 This well-researched genealogical study also chronicles the more general African American experiences of each historical period, linking the family's generations with the contemporary political events of their times. Journey to Freedom lets readers draw strength and inspiration as they observe the family's struggles and victories: from Ike's run into the night "between suns" to escape the terror of 1892 to family celebrations and other successful ventures. The Bunkley family's dreams and hopes, which are shared in common with generations of other African Americans, are filled with optimism and success.